We’re in a new era of customer surveys – they should be fun to complete, visually appealing, simple and easy. Surveys are an excellent way to analyze how happy you’re making your customers. The more feedback you can gather from your customers, the better. With more feedback, you can get more statistically significant insights, understand a larger number of your customers and hear a wider range of opinions. But it can be a struggle to obtain the volume of responses needed for meaningful results to measure. While 77% of customers will view your brand more favorably if you proactively seek their feedback – and yet only 2% of customers are likely to complete a questionnaire. Inaccurate data might be worse than having no data at all, since it could lead to developing the wrong strategy for your business. 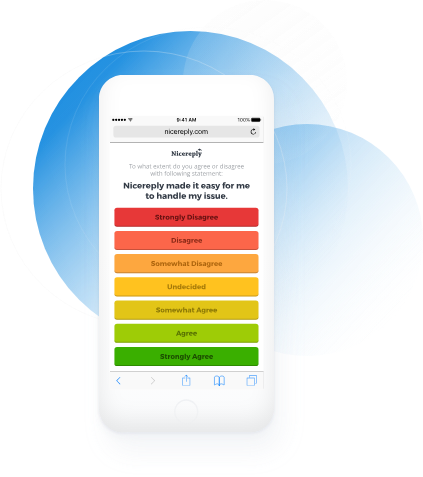 So how can you get more survey responses and a more accurate CSAT score? It’s important to think about both how you distribute your survey, and also your survey design. 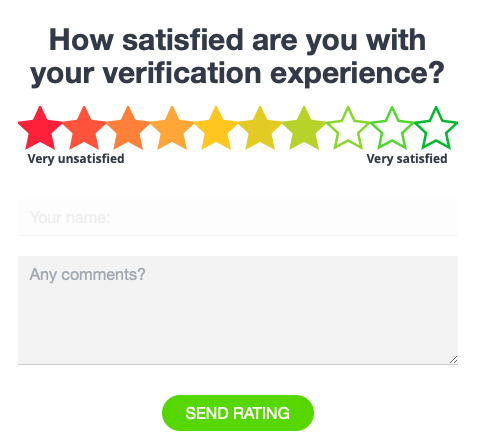 When sending their CSAT survey, some businesses make the mistake of making it all about them. It will be obvious if your survey is only serving your business’s agenda. You must make your survey focused on your customer. By 2020, it’s likely that 75% of customers will want to shop with businesses offering personalized service. The businesses that succeed will be the ones that value the needs of their customers over business objectives. As Dale Carnegie famously said, “Talk to someone about themselves and they’ll listen for hours.” You can’t get your customers to listen to you by talking about your business. Your customers also don’t want to feel that they are being surveyed by a computer. Your survey should be from a real email address (ideally from someone at your company), use human language, and be targeted to a specific situation. Referencing the situation makes it much more likely your customers will complete the survey. Customers also want to feel like your survey is coherent with the rest of your brand. 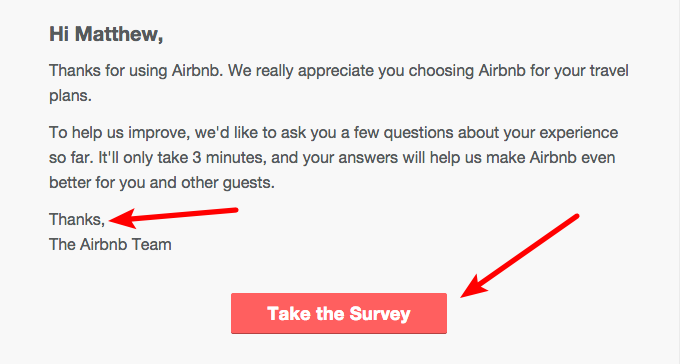 If the survey you’re sending is off-brand or obviously automated, they’re more likely to discount it. Use the same voice and tone you’d use in other marketing and support communications. 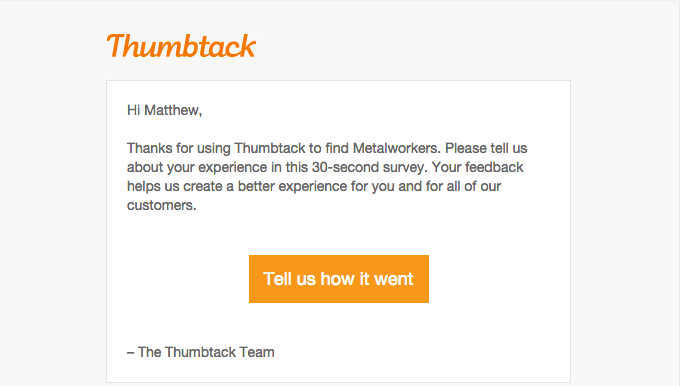 Remember, you are not the only business asking your customers for their feedback. “Customers of all stripes are suffering from survey fatigue,” says CMO of OpinionLab Jonathan Levitt. Avoid sending customers too many surveys – be respectful of their time. Millions of customer surveys are sent out each year and you can be sure your customers are being bombarded daily. The great thing about a CSAT survey is it’s usually just one question. Which one is better – having the most comprehensive survey possible and obtaining very few responses, or designing a very simple survey that gets a much higher response rate? 52% of customers said they would not spend more than 3 minutes filling out a survey. But what’s a few clicks? You’ll get more responses from a one-click survey that is simple to understand. 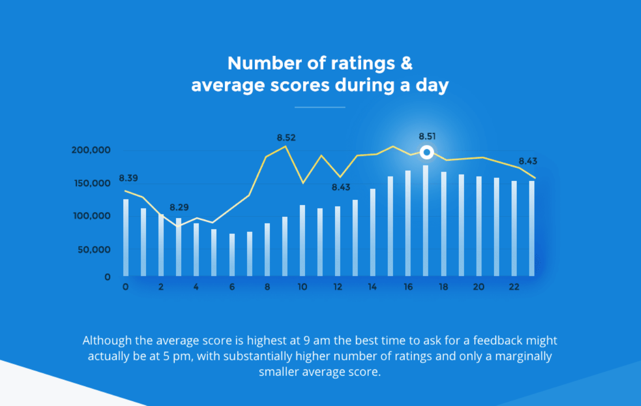 We conducted tests using instant ratings, which got 236% more responses than the surveys where customers needed to submit their response. 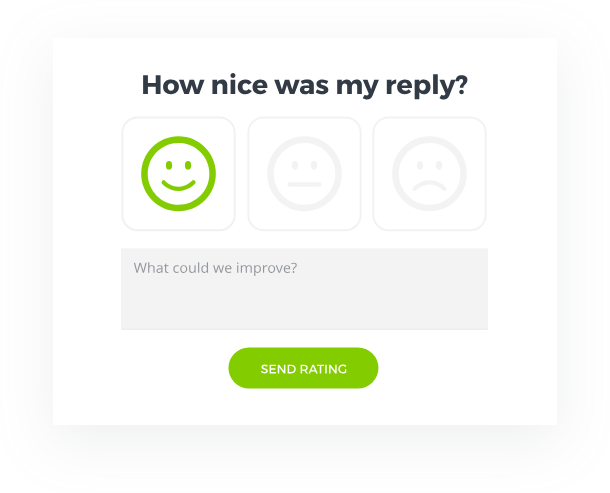 You can also embed your survey in the footer of every email you exchange with customers, so they can rate their satisfaction on the fly. They’re not being “surveyed” because you’re always soliciting feedback. There’s nothing worse than sending in your feedback to a black hole, after businesses promised that your “feedback is important to them”. If you don’t respond, customers will feel like they’ve wasted their time. “Customers are so used to having to deal with robots that they don’t even consider talking to a real human being like a possibility anymore,” says Alice Default, Head of Growth and Marketing at Front. It’s the norm for customers to assume they are dealing with robots rather than humans in an online interaction. 52% of people say that they want companies to take action on customer feedback. Avoid customers thinking they are dealing with robots by acknowledging survey responses and personally following up on feedback. This is especially important if you get a negative survey response – don’t leave bad feedback to languish in a database. You should have someone checking the responses in real-time. Customers will feel heard and valued, and be more likely to complete another survey. The timing of your survey is crucial. If you’re sending it after an interaction make sure you don’t wait too long, and consider sending one reminder if a customer doesn’t complete the survey. Did you know that the time you send your survey dramatically affects survey responses? Avoid sending your survey on a weekend and try to send it out just after 5pm during the week. Wednesday is the best day for a survey! Customers can change their feelings about you throughout the day. Their opinion is most favourable at 9am. Even though you are automating when to send your survey, show you’ve put a lot of thought into the best time to reach out to your customers. 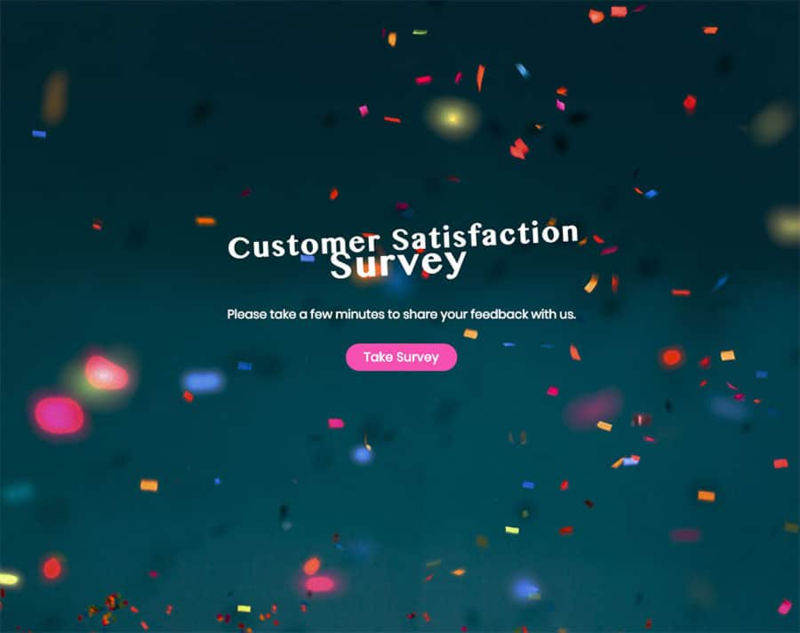 You can also design beautiful surveys that are a joy to complete. Make sure the survey experience is delightful rather than a chore. We ask too much of our customers when we take more than we give. When customers spend their money with us, they have already given something. It’s not about offering prizes or free rewards, but rather tipping the balance to ensure customers feel valued. Spend time crafting the subject line, and ensure any text you include is meaningful, interesting and relevant. There are also many ways you can phrase your CSAT question. You can test a few different versions to see which one gets the most responses. Don’t forget to optimize for mobile. A simple survey with just one question is much easier to complete on a smaller screen. Ensure your survey resizes to display properly. 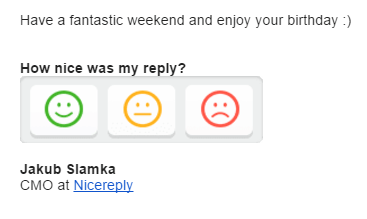 Customer feedback is something to be valued and taken seriously. “When customers share their story, they’re not just sharing pain points. They’re actually teaching you how to make your product, service, and business better,” says Kristin Smaby, in Being Human is Good Business. 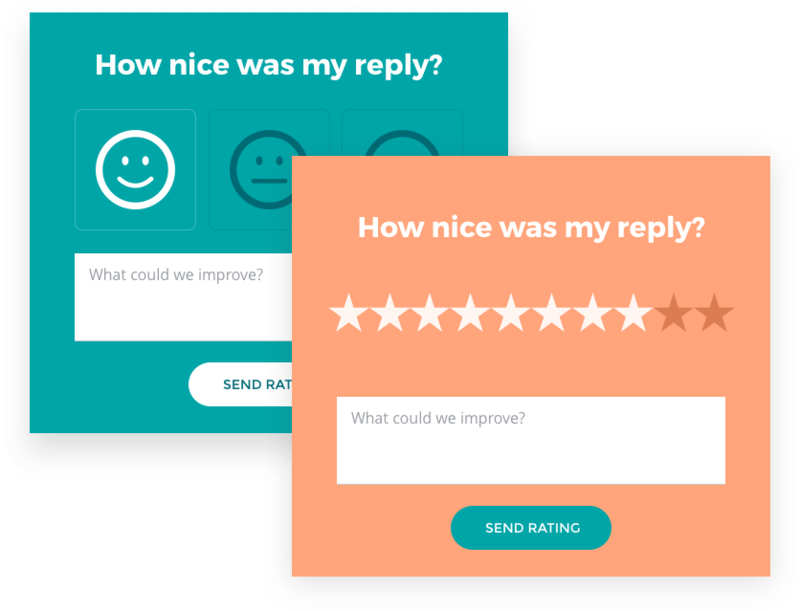 CSAT surveys are a chance to gather vital feedback and show your customers that you care about how they feel. They’re a way for your customers to talk to you, rather than only serving business objectives. There’s nothing wrong with using technology, but customers need to feel that your survey is coming from a human. Customer Experience will become more important than pricing and product to consumers by 2020. We’re in a new era of customer surveys – they should be fun to complete, visually appealing, simple and easy. Catherine is a content writer and community builder for creative and ethical companies. She’s a blogging sensei — you’ll often find her writing case studies, help documentation, and articles about customer support. Her writing has helped businesses to attract curious audiences and transform them into loyal advocates.